I went from a sideways CMore railway to the RTS2 and could not be happier. The DAA mount needed to be modified to go on my (rounded top) 2011 but that was short work and I knew from reading other review it was necessary. The dot is easy to pick up and only took a little dry fire practice to cement it into muscle memory. Transiting from one target to target (especially right to left) is much easier as the More railway was always in the way. Since the RST2 is centered my peripheral vision is wide open on either side. Turning on/adjusting the dot is very easy as all you need to do is push either of the up/down buttons on the side. So far battery life is much better than my railway which is a great bonus. All in all I'm very happy with the RST2. 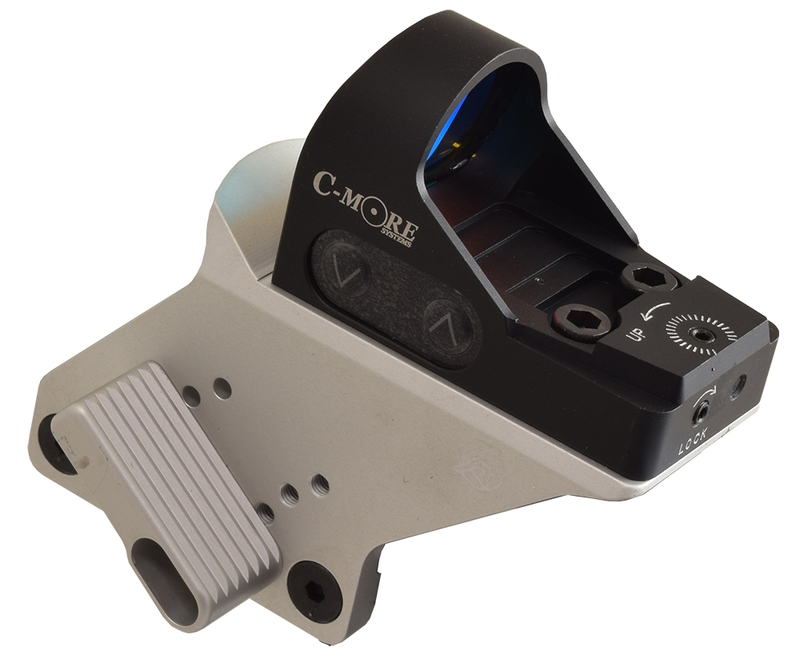 This is a great upgrade from our previous C-More scope that came with STI DVC Open. Closer to the slide, better balanced gun, and no problem with cases being thrown back into the ejection port which we experienced with the original sight. I was hesitant on switching to this from my regular C-More but this has probably been the best investment I have made for my open gun. Extremely easy to install, only issue had to refit the mounting screws to the frame but only took about 10 minutes to do. The red dot itself is fantastic and sits extremely low to the bore. I have seen a noticeable improvement to my accuracy and drawspeed. Don't hesitate to pick one of these up, fantastic combo deal!